June 19-23 (5-day Elite Camp $375) Click HERE to Register! July 5-7 (3-day Elite Camp $240) Click HERE to Register! July 17-21 (5-day Elite Camp $250) Click HERE to Register! ​Dinamo Zagreb Youth Academy from Zagreb, Croatia are sending us their Academy coaches to work with WWPSA and MERCER FC players. 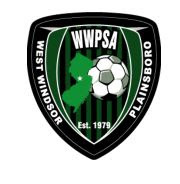 This camp will run Monday through Friday from 6pm - 9pm at West Windsor Community Park. For WWPSA or MFC registrants use: wwpsadinamo coupon code to register and receive a Club discount. Contact Gabriella Trichilo for a team discount when a team of 10 or more plan to attend together. Coach Marko Cindric and Jakov Guja will be joining us from Zagreb, Croatia. Biography's will follow soon. Dinamo Zagreb is one of the most successful (top six) youth academies in Europe having produced Luka Modric and Mateo Kovacic with Real Madrid, Alen Halilovic with Barcelona. Click Here for an artile on top 10 famous player productions. And Click Here for an article on Dinamo Zagreb's conveyor belt of talent. The opportunity to visit the Dinamo Zagreb Youth Academy and tryout with the youth team is a possibility through identification at this camp. The following American players were identified at summer soccer camps and were previously placed to train and play within the academy: Saalih Mohamed (US U20 NT Pool), Vincent Borden (US U14 NT), Thomas Ziemer (US U17 NT) and Alex Molano (US U20 MNT).